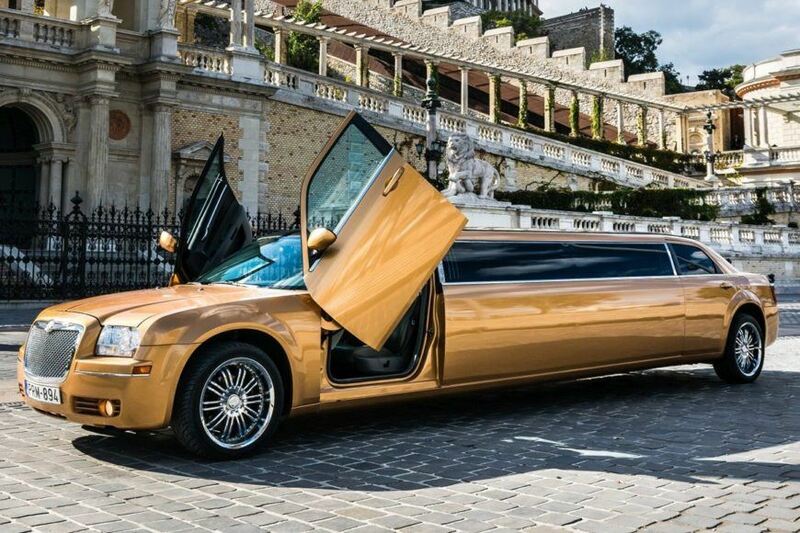 Top model luxury limousine in elegant gold glitter colour with full leather interior with lambo doors. 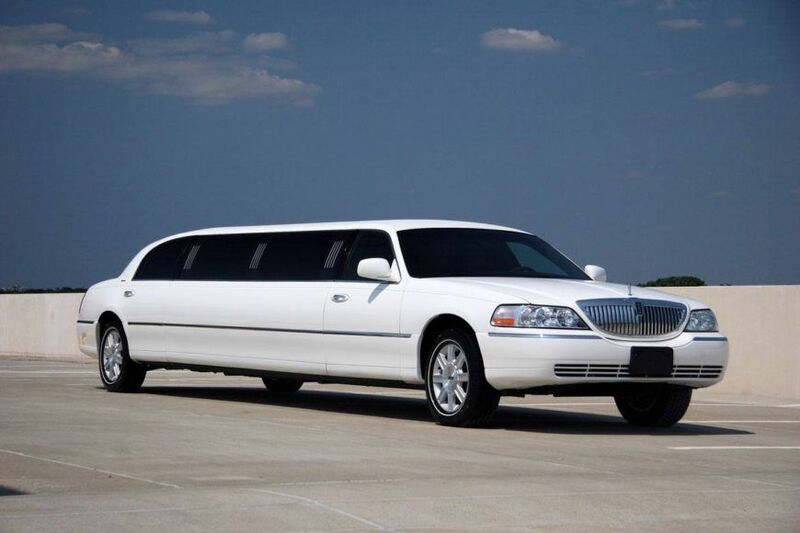 The fully-equipped limousine offers a comfortable and pleasant journey for maximum 9 people. The limo with premium sound system, flat screen , tv and dvd player, panorama glass roof for sightseeing tours, digital A/C, opening roof window, black and white bar, fridge, laser show and free wifi inside. For comfort, limousines are waiting for our guests direkt right front of the exit. Professional drivers in uniform, quality services. Striptease or chippendale show in a limo for 99 euro. For stripper/dancer show make your booking in the comment. Lincoln Town Car Crystal exclusive limo in white colour with leather interior and extras. Fridge, black colour mini bar, tv/dvd player, music, laser show, sunroof, etc. Available for max. 8 persons. Professional drivers in uniform, quality services. For comfort, limousines are waiting for our guests direkt right front of the exit. 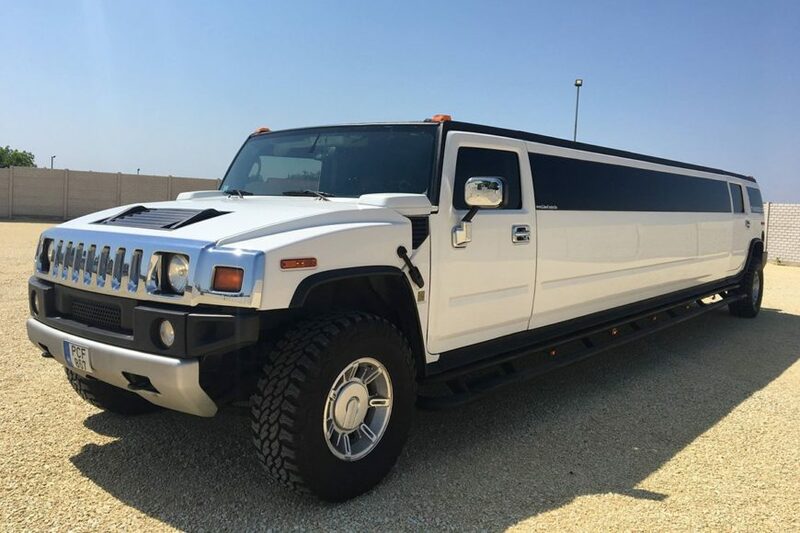 Hummer H2 limousine in white colour, extra long, well equipment. Separate VIP part, fridge, two exclusive mini bar, tv/dvd payer, premium music player, laser show, sunroof, etc. Available for max. 16 persons. Only hand baggages, this vehicle has no luggage rack. If you have large baggages register it by booking. (additional prices) Professional drivers in uniform, quality services. For comfort, limousines are waiting for our guests direkt right front of the exit.